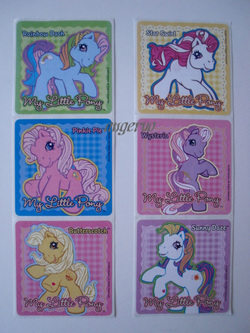 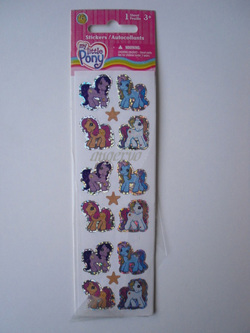 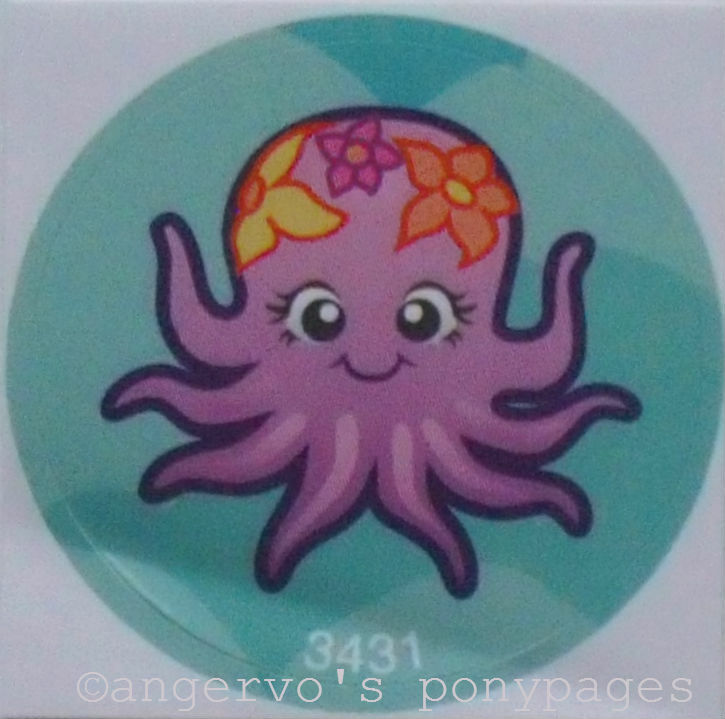 From every Mermaid Ponyville -packing you could have one sea-themed sticker more to add your small sticker poster. 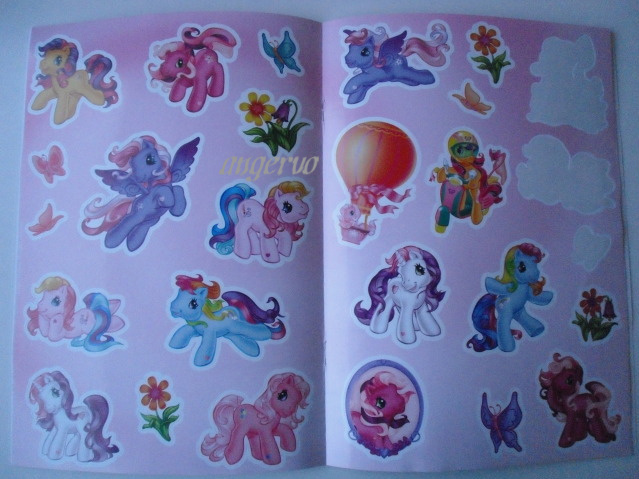 From Sweetie Belle's Night Time Party -packing. 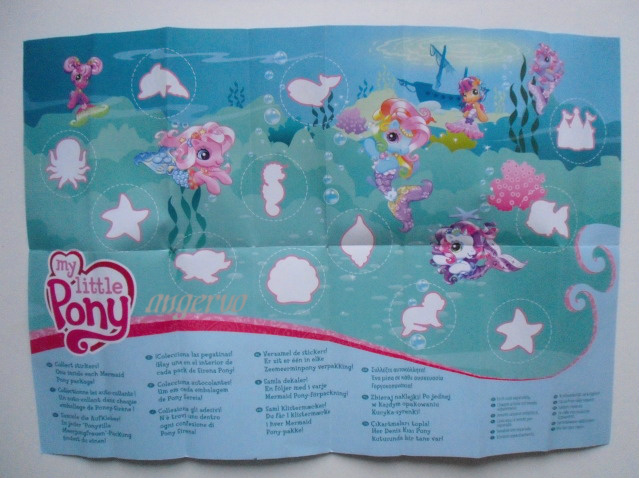 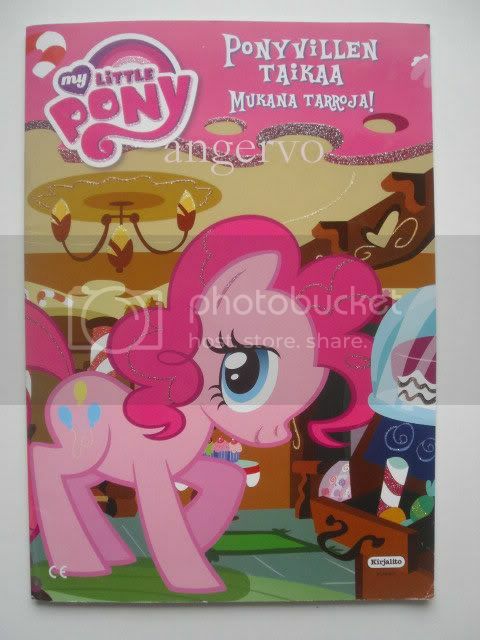 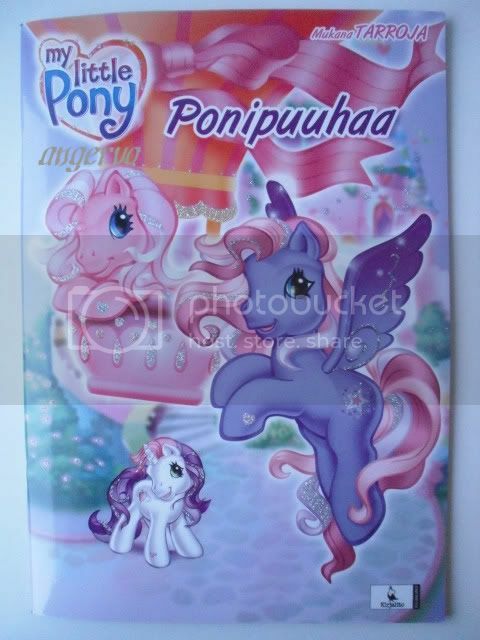 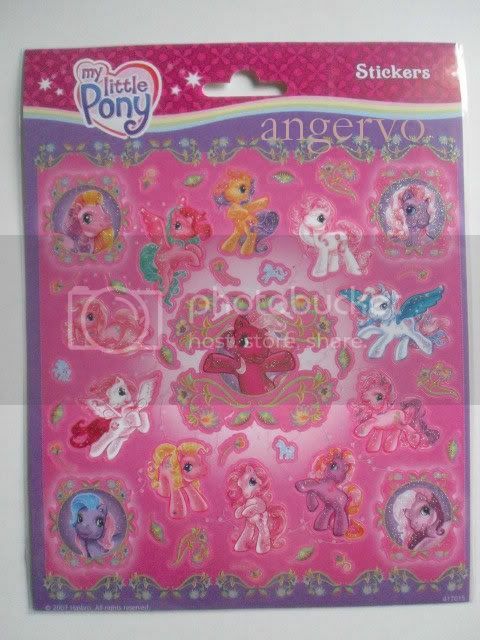 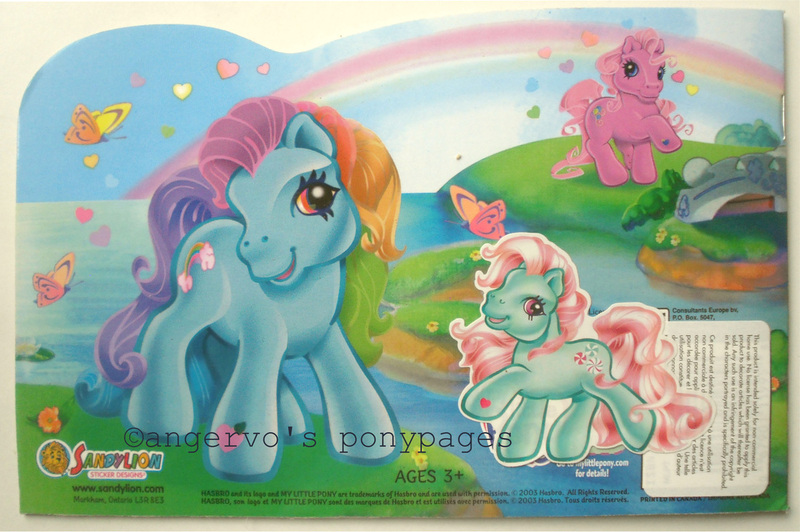 Included in some other Dress Up -sets too, like "Dance Time with Rainbow Dash" & "Arts & Crafts with Toola-Roola". 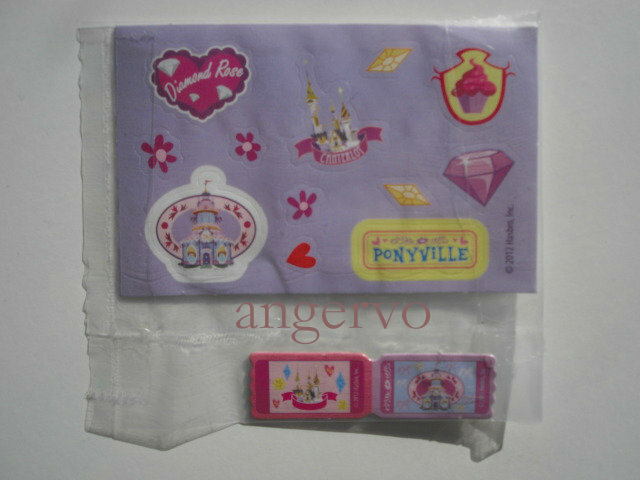 Stickers from G4 Diamond Rose (Travelling Single) packing. 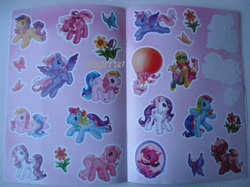 Stickers from book "Öinen retki"
G3 stickers from activity book. 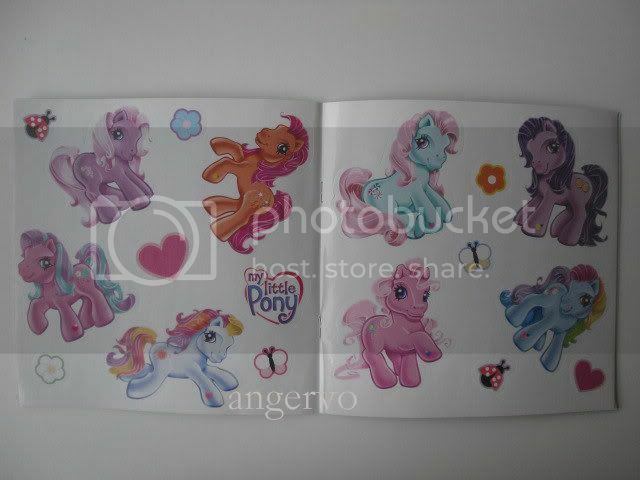 G4 stickers from activity book.